Every year, Models.com crunches the number of campaign bookings and cover spots to produce a definitive power list of the Top 50 models in the business. The latest newcomer to the prestigious ranking is none other than Dazed cover star Kendall Jenner, who lands a spot next to her BFF and Tom Ford campaign star Gigi Hadid. The industry authorities write of Kendall: "A+ management and a selective slate of bookings have elevated Kendall to the heights of modeling in record time. With an Estee Lauder contract under her belt, a multi-page editorial in US Vogue and work with the likes of Karl Lagerfeld, Katie Grand and Marc Jacobs, Kendall is the bonafide girl of the moment. You can expect her wholesome good looks and millions of followers to take her straight to the top." The list isn't numbered, although a quick tally of campaigns shows that Kendall lags behind relatively more established faces like Prada girls Anna Ewers and Malaika Firth. While the Top 50 isn't meant to be an overall ranking of success (which is why big earners like Kate Moss and Gisele are left off), it is treated as an indicator of superstar status. But if the rest of her year is anything to go by, Kendall's rise looks set to continue along its stratospheric path. Besides her Estee Lauder campaign, she's also been booked with Sasha Luss and Ming Xi for Karl Lagerfeld's SS15 campaign. She's also rumoured to be walking for the first time in the upcoming Métiers d'Art show for Chanel in December. And all this despite only making her fashion debut proper in AW14. If nothing else, the girl's certainly efficient. 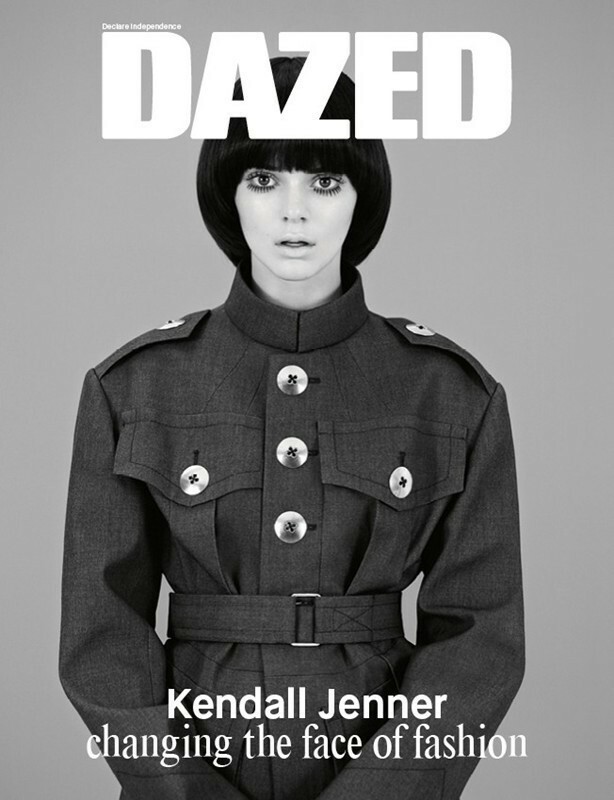 Head here to find out more about Kendall's cover for Dazed winter 2014.